SORRY, because of technical issues, Episode 98 had to be split into two parts. Don’t worry, everything is there – just in two different actual podcasts. Taking The Charge Podcast Episode 98:Dave and Os talk a lot about the U18 European Championship with interviews with Berk Ugurlu, Stefan Lazarevic and Vasileios Charalampopoulos. We also chat about the NBA and the retirement of Sarunas Jasikevicius. For the movie of the week, we reviewed “Kong Fu Dunk“. 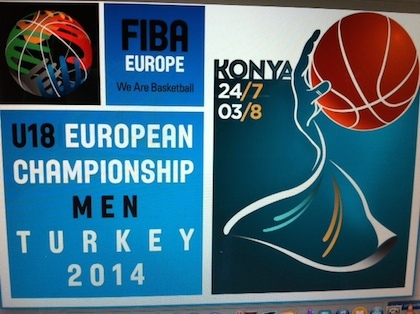 News: U18 European Championship, NBA, USA at 2014 FIBA Basketball World Cup and Saras retiring.